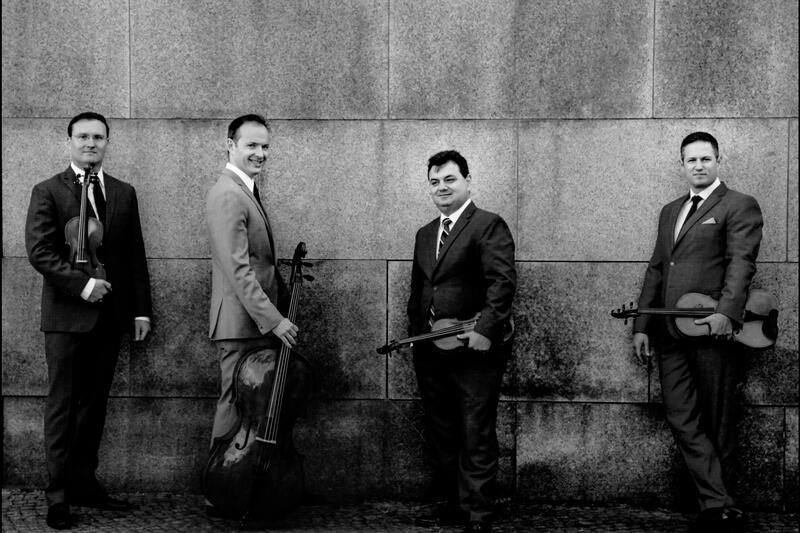 Over the past two decades, the Jerusalem Quartet has consistently garnered accolades for its definitive interpretations of landmark quartets. In 2015 the Jerusalem chose to celebrate its twentieth anniversary as one of the world's greatest string quartets by revisiting Beethoven. The Jerusalem issued an album of Beethoven's string quartets, extolled by The New York Times for its "gracious charm," and launched a tour that included a weeklong stint at Lincoln Center. The Jerusalem returns to Beethoven during its third visit to Duke since 2012, delivering the composer's dense, restless Quartet No. 11 in F Minor. They follow it with the only quartet written by Claude Debussy. The French composer's whirlwind work in G Minor is a thrilling affair, full of scintillating motion. The program draws to an end with the Second Quartet of twentieth-century master Shostakovich. Written in 1944 as World War II neared its end, it is dark and powerful, with elements borrowed from the world of Jewish music perfectly capturing the composer's personal turmoil.